One of Australia’s premier Americana artists (if that isn’t a contradiction) have lined up their first UK appearances this June. 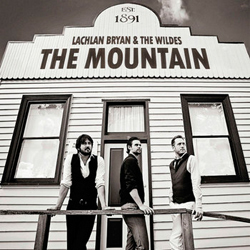 Lachlan Bryan & The Wildes have pioneered the alt-country and Americana music movement in Australia. The 2010-issued debut album Ballad of a Young Married Man, mixed traditional country song-writing with indie production, and was well-received by both the purists in Australia’s established country scene and fans in Australia’s more rock-oriented inner cities.. The success of the album led to a record deal with Sony and a critically-acclaimed solo record (Shadow of the Gun), released in 2012 and in 2013 the band recorded a third album Black Coffee, which debuted at #12 on the Australian Albums Charts (and #4 on the Country Charts) and went on to win a slew of accolades including Country Album of the Year in The Age Music Awards and a prestigious Golden Guitar for ‘Best Alt Country Album’ at the 2014 Australian Country Music Awards. The band are appearing at several festivals including Bluesfest at Ingolstadt, Germany, and the UK’s Maverick Festival in Suffolk, and there are a string of add-on tour dates in Switzerland, England and Scotland.